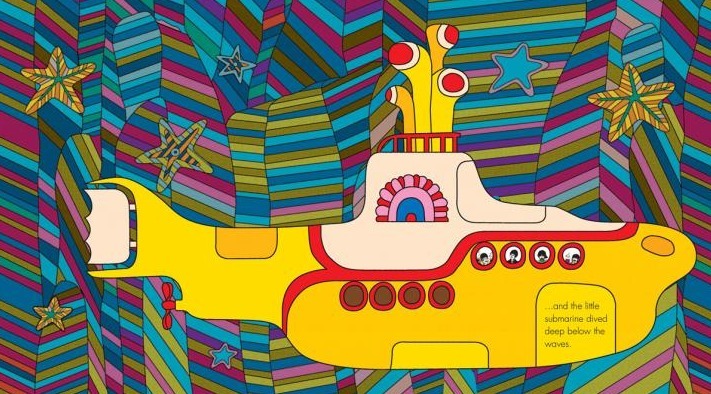 Until, that is, a trip to London when our oldest was three, and happened to be obsessed with "All You Need Is Love"—having run through the picture books we had brought with us, we grabbed an edition of the book version of Yellow Submarine, which features all the colorful Heinz Edelmann graphics of the film, if none of the actual music. It was a huge hit with Dash, and has been a favorite book of his and his younger brother's ever since. I'm generally not much for holiday-themed children's books, which are often as uninspired and gimmicky as the impulse-buy specials for adults that you find by the Barnes & Noble cashiers this time of year. But if there were going to be an exception, it should come as no surprise that it would be a holiday-themed children's book by Lemony Snicket, perhaps the author best suited to taking the treacle out of traditionally tacky subject matter. 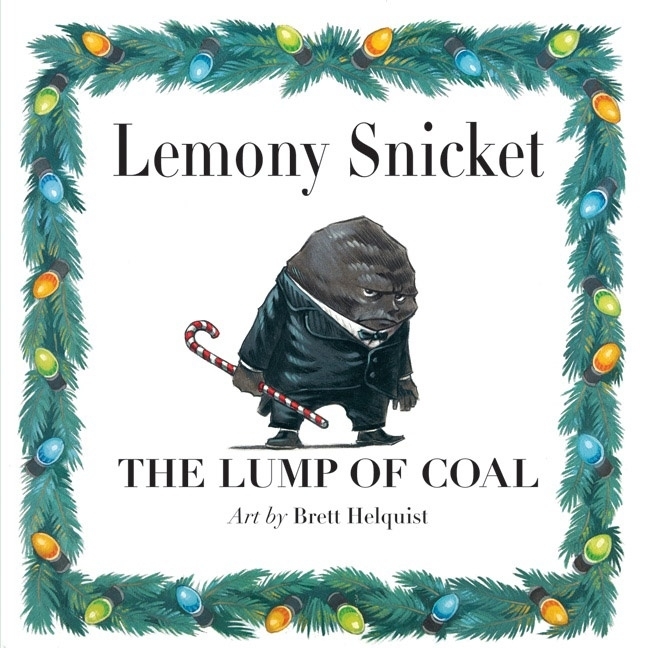 The title itself hints at this, but The Lump of Coal is more than just a one-liner—in it, Snicket manages to eat his cake and have it, doubling back on his seeming cynicism. Its protagonist is, yes, the titular lump, who wears a tuxedo and wants to be an artist, but is dismayed to find that the art gallery displaying coal art is not seeking works by actual anthropomorphic coal chunks. He is similarly unsuccessful when trying to find a position fueling a Korean barbecue, and about to despair when he runs across a man dressed as Santa—who has a naughty son, and, accordingly, a fitting job for a piece of coal like our hero. Then, just when you think the book is merely a breezy, witty take on bad kids' getting their comeuppance, Snicket takes a sharp turn to a happy and most unexpected ending, which I won't spoil here. 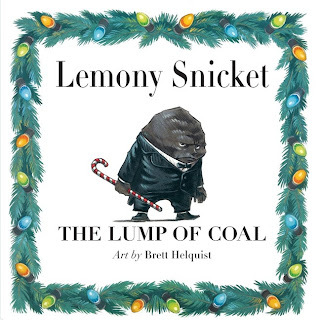 The Lump of Coal, which also features expressive illustrations by Brett Helquist, has been a favorite of mine and my wife's for a few years now, but this Christmas season our three-year-old, Griffin, has taken a strong shine to it as well—an indication that Snicket’s sophisticated humor is by no means beyond the understanding of those just learning to read. Truly, then, a Christmas book for all ages, in the best sense. Putumayo's compilations of children's music are such reliable standbys in the genre, so consistently good, that I end up never writing about them. I realize that doesn't sound as if it makes any sense, but it does: It's not because I take them for granted, exactly, but because I have this feeling everyone knows about them already. So in my mind, it's as if I were recommending this really great toy called Legos. This, however, is not only not fair, it's not true. As I can still recall (when I try) from the days before I began covering kids' entertainment, it's entirely possible in the whirlwind that is being a parent to know about precisely nothing that came out after one's own childhood. 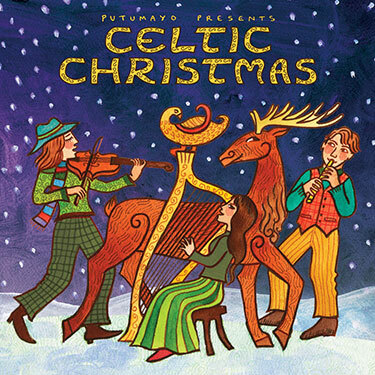 So let me take advantage of the approaching Christmas season to point out Putumayo's latest output, Celtic Christmas, a collection of 11 traditional Yuletide carols in, yes, Celtic renditions that range from peppy and energetic (David Huntsinger's take on "Angels We Have Heard on High") to dreamy and pensive (the French carol "Noel Nouvelet," beautifully performed by the only-seemingly-named-by-Jack-Black group DruidStone; my three-year-old insists on putting this track on repeat every time he hears it). There's even a Gaelic rendition of "White Christmas," aptly enough sung by Lasaidfhíona Ní Chonaola. Like just about every Putumayo kids' collection I've heard, Celtic Christmas is suitably atmospheric—in this case setting the perfect seasonal tone—while also featuring top-notch musicians throughout. 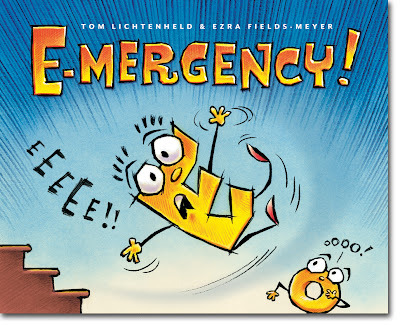 When you talk about letter books, you usually mean ABC books, a genre for very young kids that could probably keep the board-book publishing industry in business all by itself. 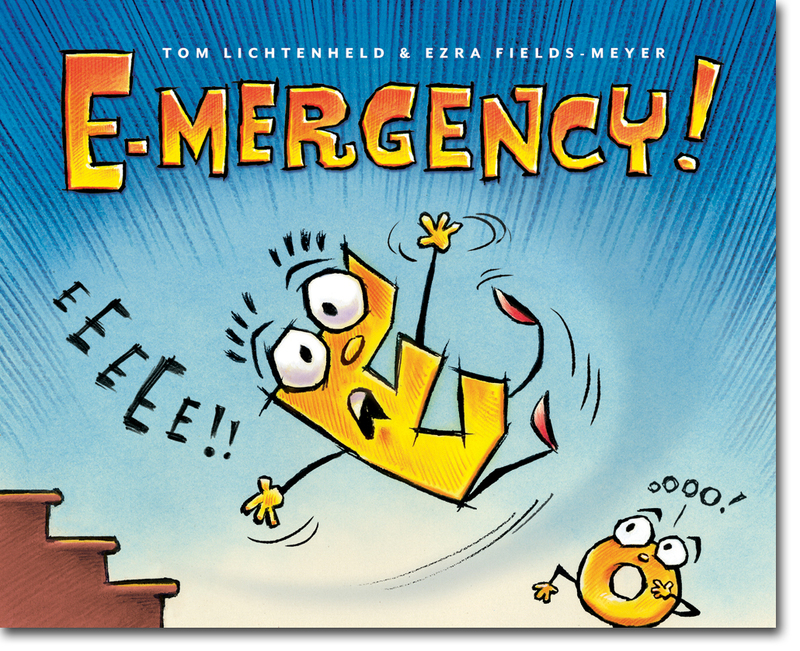 E-mergency!, however, is a letter book for somewhat older children, with a plot and a lesson beyond the basics of what in the alphabet goes where. The book, full of clever wordplay (letter-play?) in multiple asides on every page, is all the more astounding for being the brainchild of 14-year-old Ezra Fields-Meyer, whose was diagnosed with high-functioning autism as a toddler. His short animated video "Alphabet House" (shown below) came to the attention of veteran children's-book illustrator Tom Lichtenheld, who loved the concept and adapted it. The end product does stand out among the work of writers many mulitiples of Fields-Meyer's age—for being better than a good portion of it. Graphic novels have gained a great deal of respectability since I was a kid. 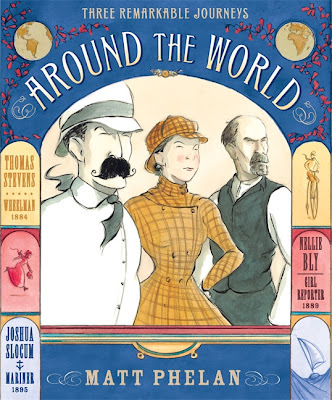 With the possible exception of Herge's Tintin books—and those had European cred!—back then, the genre was linked more with its cousin, the comic book, than with other children's books. And comic books were distinctly not respectable in a literary sense: Even the brilliant, complex 1980s and '90s work of Neil Gaiman, Frank Miller, and Alan Moore (most of which is by no means for children, I hasten to say) had a bit of a discriminatory hurdle to get over before being taken seriously by the mainstream. Today, major publishers have full graphic-novel (and even comic-book!) divisions, turning out excellent work for both kids and adults that covers nearly every genre and field. To my delight, there are even nonfiction graphic novels, whose leading practitioner would now have to be Matt Phelan. 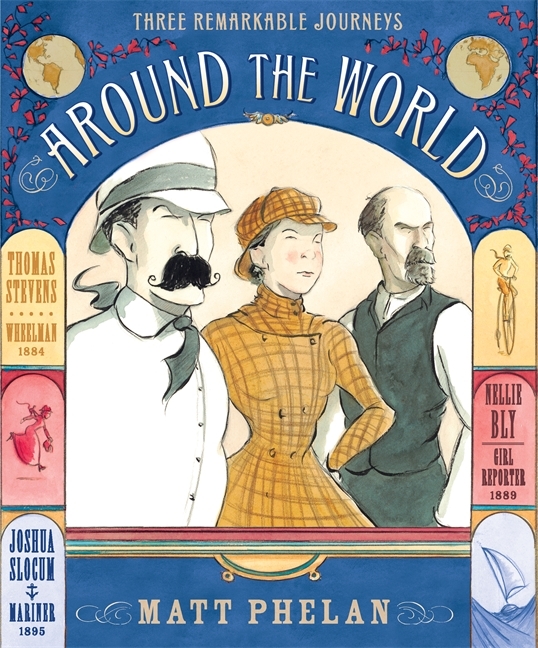 His latest book, Around the World, tells the story of three amazing, adventurous, and absolutely real 19th-century solo global circumnavigations: Thomas Stevens's 1884 journey via large-wheel bicycle, Nellie Bly's 1889 newspaper-sponsored race to surpass Jules Verne's fictional 80-day achievement, and Joshua Slocum's 1895 small-boat trip. These are the sorts of stories that have long turned up in nonfiction children's books, and I remember reading about Bly's race against time in one myself as a child—which makes it all the more remarkable that Phelan has turned up the relatively undiscovered of Stevens and Slocum, neither of whose names were the least bit familiar to me. All three stories are remarkable, the kind that feel incredibly improbable for their time (especially Slocum's, which seems downright impossible). And as he proved in the historical-fiction work The Storm in the Barn, Phelan knows what to do with a good story. His accounts of the three journeys move from panel to panel like a well-edited film, and he has the ability able to capture and denote his protagonists' characteristics with a lightly illustrated expression, much as a great film actor can express an emotion in a glance. The author is also thoughtful enough to move past the actions of the three adventurers to the question of why each is pursuing his or her goal—a question that goes a long way to establishing character and, not coincidentally, to making Phelan's book a lot more interesting than most children's nonfiction, including the similarly themed books I read as a kid. Maybe it's redundant to call a graphic novel a page-turner, but that's the term that comes to mind when I think about how eagerly my seven-year-old reads it.